Climate change is the most pressing challenge humankind has ever faced. It has a complex impact on humans and natural environments both today and particularly in the future. Climate change can be attributed to human activity, but it can be decelerated enough that harmful impacts are not insurmountable. it is therefore crucial to teach about the impact of a changing climate and provide ideas on how biological approaches can be applied to climate change mitigation. Biology plays an important role in understanding the complexity of climate change and in building a climate-friendly world. The greenhouse effect is defined as a warming of the lowest layer of the Earth’s atmosphere due to carbon dioxide and other greenhouse gases (water vapour, methane and nitrous oxide, among others). A natural greenhouse effect facilitates life on our planet; this occurs when greenhouse gases allow the Sun’s heat energy to pass through the Earth’s atmosphere and then absorb the bulk of heat. Therefore, the surface temperature of the atmosphere remains about 33°C higher than without a natural greenhouse effect, meaning a surface temperature of around -18°C. Climate change, a human acceleration of the greenhouse effect, refers to growing greenhouse gas emissions warming the atmosphere. 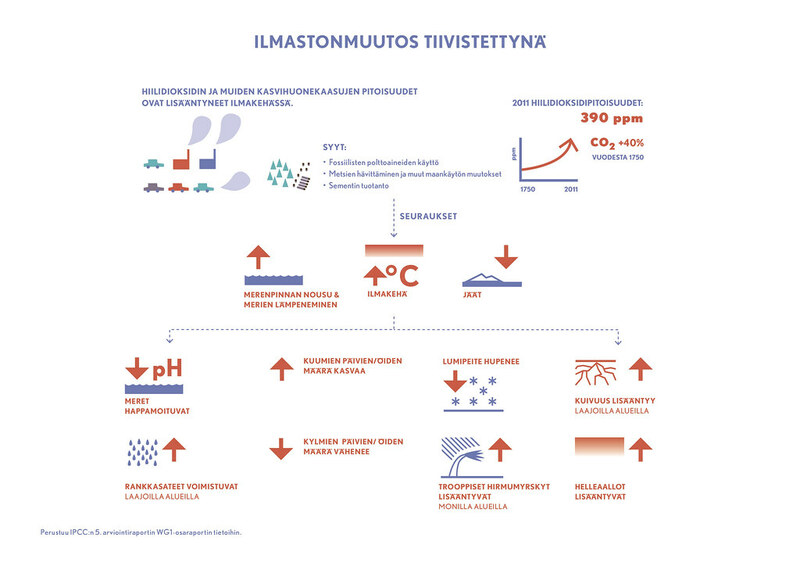 Currently, human activity is rapidly causing climate change by releasing pollutant gases. Carbon dioxide, methane and nitrous oxide in the atmosphere have increased steadily and significantly in the last two centuries, mainly due to an ever increasing demand for fossil fuels. Fossil fuels – coal, oil and natural gas – are carbon captured in soil and sediment through photosynthesis millions of years ago. Carbon dioxide is perhaps not the most potent of all greenhouse gases, but due to its high proportions and long lifespan, it is the most significant climate change accelerator. Therefore, it is necessary to learn about the carbon cycle in nature. 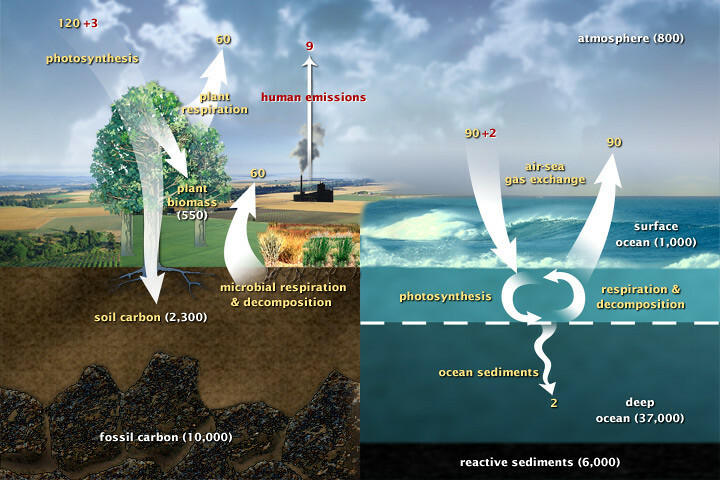 Carbon is constantly recycled and reused between reservoirs; the atmosphere, oceans, plants, terrestrial ecosystems, and sediments. For a long time the oceans, terrestrial vegetation and soil have absorbed carbon dioxide from the atmosphere and represented ‘carbon sinks’. However, scientists suggest that climate change weakens carbon sinks. When humans add carbon dioxide to the atmosphere, it is divided according to a carbon cycle between oceans, vegetation, and the atmosphere. About 45% of CO2 remains in the atmosphere, while about 30% is absorbed by the oceans and the last 25% taken up by the terrestrial biosphere. During photosynthesis plants remove carbon dioxide from the atmosphere and act as carbon sinks. The bacteria and fungi use cellular respiration to extract the energy contained in the chemical bonds of the decomposing organic matter, and thus release carbon dioxide into the atmosphere. Large amounts of carbon dioxide from the atmosphere dissolve in the surface waters of the oceans, but at the same time, much of it gets released into the atmosphere. However, single cell plankton plays an important in role in the carbon cycle in the seas. Through photosynthesis, plankton consumes carbon dioxide in the surface waters and once they die, they begin to sink and release carbon dioxide to the deep seawater and sediment. Since the sea floor is not in contact with the atmosphere, carbon dioxide cannot be released by it. This mechanism is known as the biological carbon pump and it explains why the oceans have such a big share of carbon. Carbon cycles so rapidly that a single carbon dioxide molecule remains in the atmosphere only about five years. Most of the carbon dioxide absorbed by vegetation and the oceans is quickly released back into the atmosphere. The atmospheric longevity of man made carbon dioxide can be described as follows: if 100 new carbon dioxide molecules are added to the atmosphere, after 30 years, 50 extra CO2 molecules are retained. Due to a fast carbon cycle, most of the molecules are not original. After a few hundred years, there are still 20 extra molecules left in the atmosphere, and a small number of these emissions are adding carbon dioxide content into the atmosphere for thousands of years ultimately sinking to the bottom of the ocean. Because of climate change, land, plant and ocean carbon sinks are likely to become less effective. In a warming climate, soil organisms break down organic matter more quickly and CO2 absorbed by plants is released more rapidly into the atmosphere. Additionally, it is likely that in some areas climate change could lead to soil degradation and transform rain forests into savannahs, which have much lower carbon sequestration efficiency. In other areas, tundras may become forested, and vegetation might be capable of increasing carbon dioxide capture. However, there are indications that over time this will become a less efficient sink of man-made carbon on a global scale. Thus, the weakening of carbon sinks would function as a negative feedback loop that drives climate change. (For further information, see the text on physics.) According to various studies, climate change will affect the carbon pumps of the oceans in such a way that they are unable to absorb CO2 as quickly as it is being emitted by human activity. 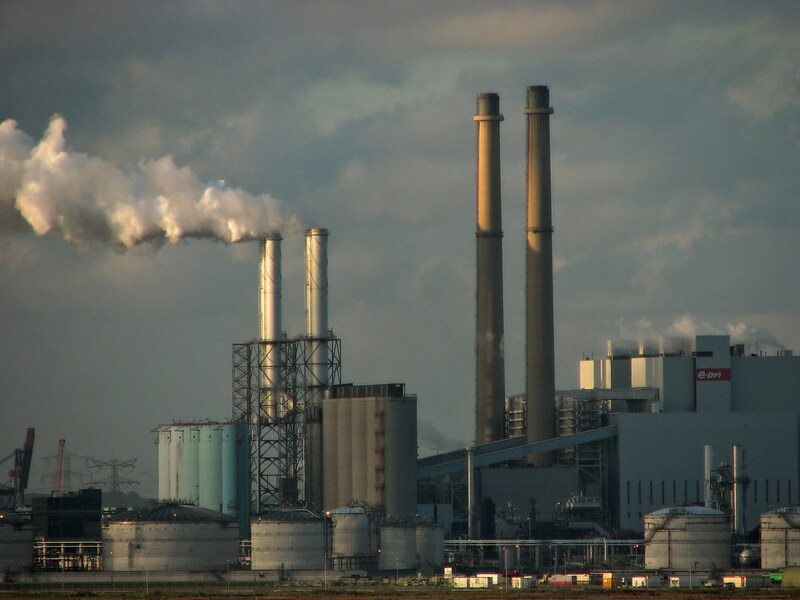 In addition to carbon dioxide, other greenhouse gases contribute to climate change in many ways and through different mechanisms. For example, methane is distinctly stronger than carbon dioxide, but considerably shorter lived. It is generated by the fermentation of organic matter, including swamps, rice fields, and landfills. Methane lasts about twelve years in the atmosphere before it gets oxidized and turns into water and carbon dioxide. The most fundamental factor defining the Earth’s climate is the amount of incoming solar radiation. This varies according to latitude and season. The cycling of air, water, and carbon is powered by energy from the sun. 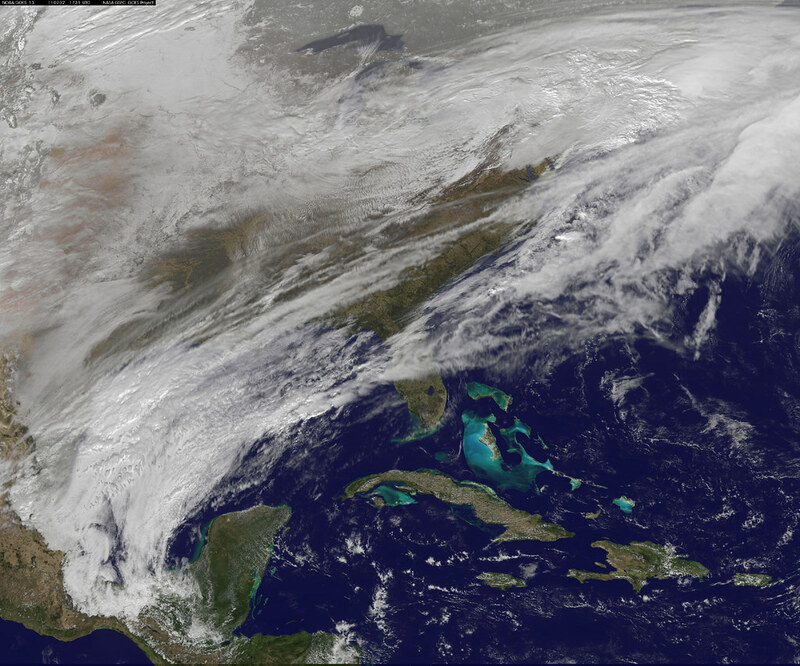 Wind driven and ocean current circulations move warmth from one area to another. The continents, oceans, and mountain ranges impact these circular patterns. The Earth is estimated at 4.6 billion years old, and its climate has changed significantly throughout history. According to current understanding, the Earth’s climate has had many warm periods and at least six cycles of millions of years of cold when most of the planet was covered in ice. During the cold periods, large ice sheets were formed close to either the South or North Pole or both. The Earth is currently in the most recent glacial period, which began approximately 30 million years ago. The Earth has had twelve major extinction events, out of which six have been identified as mass extinctions. There is still debate about the causes of these mass extinctions that took place hundreds of millions of years ago, but it is speculated that large extinctions may have resulted during rapid climate change. Significant global warming of the seas and climate has accelerated at least on the first, second, fourth and the ongoing sixth mass extinction periods. Climate change affects natural environments and species. Every species reacts to the impact in different ways. Some species benefit from a warmer climate, and they will have the competitive advantage over other species, since they are better adapted or have better resilience and resistance to climate change. Their numbers will increase in the habitat they occupy, and they will also become more common in surrounding areas. The species living outside their native distributional range are called introduced species. 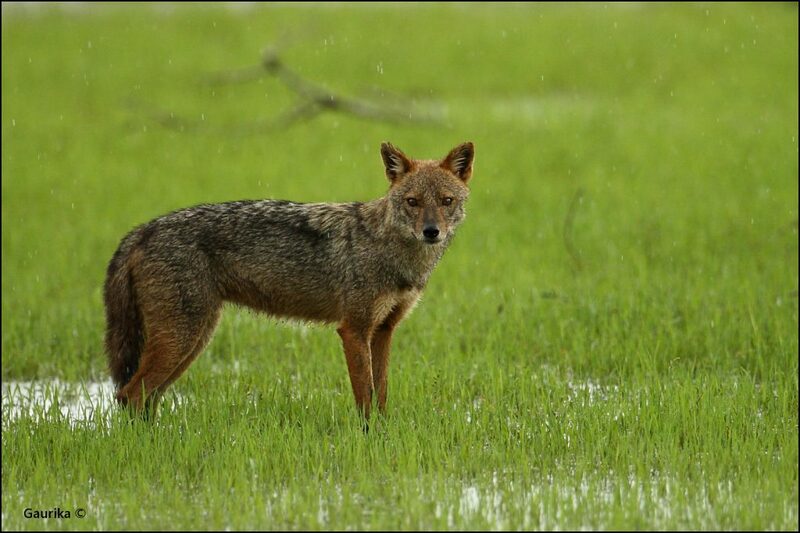 For example, the golden jackal of North Africa has expanded its range to Europe in the last 100 years and appears already as far north as Estonia. 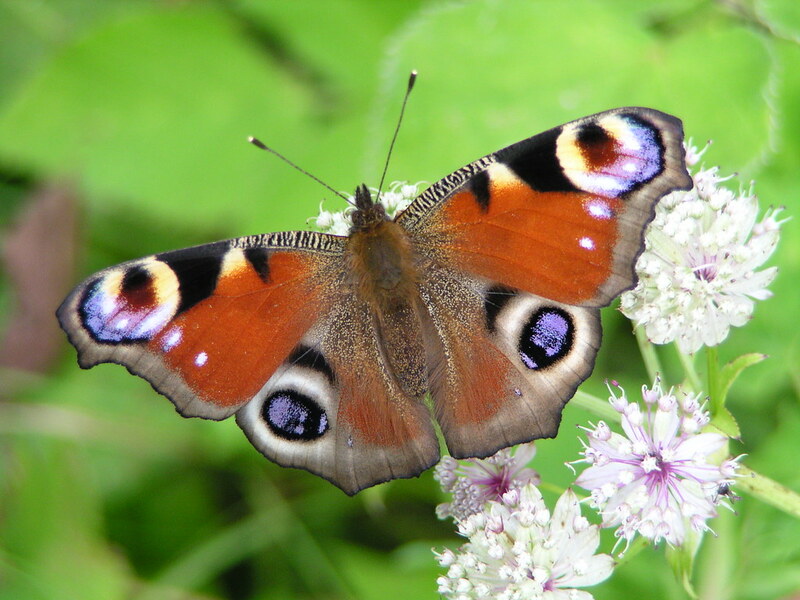 In Finland, for example, peacock butterfly populations have increased due to global warming. The difference between introduced species and invasive species is that latter migrated from their native range without human assistance as a by product of natural movement or traveling seeds. If change exacerbates living condition challenges, species may try to adapt or relocate into more accommodating habitats either by migrating (animals) or spreading seeds (plants). Adaptation can mean either adapting a new type of behaviour or developing new physiological qualities. If change occurs too quickly for a particular species to adapt or find a new habitat, it may face local or even global extinction. Species at risk from climate change are, among others, the polar bear, the Saimaa ringed seal, and the arctic fox. 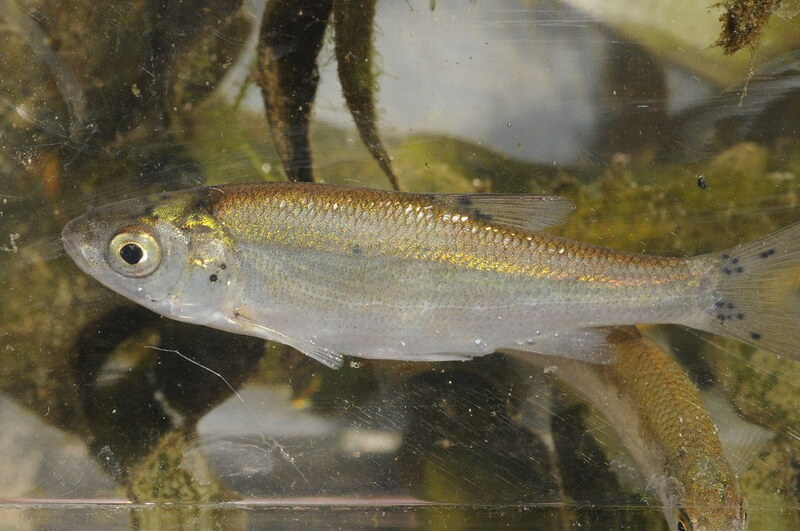 Species that evolve slowly in adapting to the rapid change are being hit hardest. Changes in the biophysical environment have a wide ranging impact on ecosystems. A decline or increase of a certain species in a certain area typically affects other inhabitants. 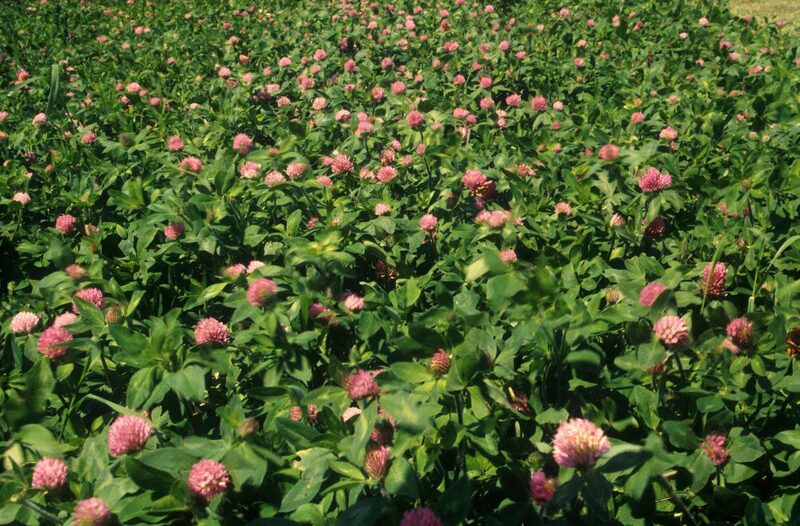 For example, increased numbers of pest populations pose a challenge to vegetation. Another example is the expansion of competing species in a certain area which may pose a threat to the native species of that area. 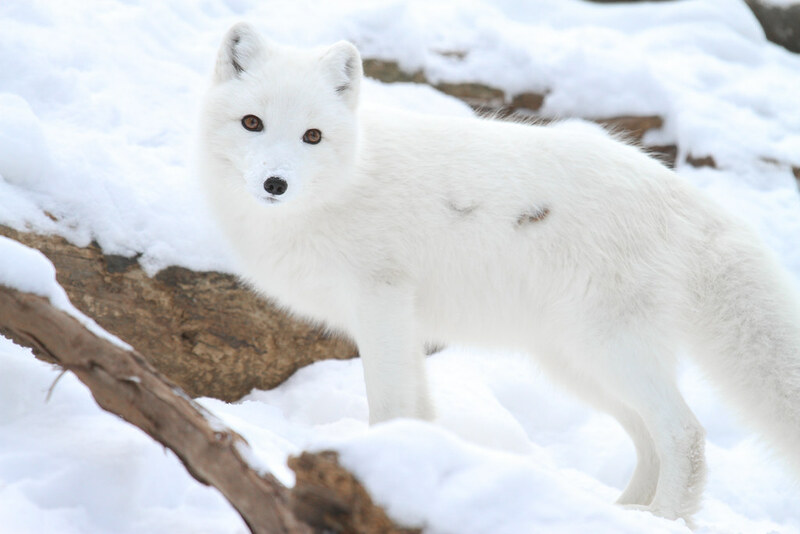 Red foxes are expelling arctic foxes, because the warming climate allows them to survive much further north. This represents one example of invasive competition. Concurrently, better living conditions for animals typically preyed upon increase the number of predators. Climate change causes shifts in phenology; in other words, seasonal changes in plants and animals from year to year. In practice for example, this means that growing seasons have become longer in cool areas around the world. The northern hemisphere is already seeing the outbreak of spring with budding flowers and plants earlier than in past decades, and autumn is arriving later or lasts longer with plants withering later in the season. One of the clearest examples of climate change in action is species moving towards the South and North Poles and to the mountainous areas towards the peaks. Additionally, the rising sea level impacts migration, and there are already signs of this in the fragile coastal areas, such as mangrove forests. Thus far, most studies on the consequence of the sea level rise have focused on local ecosystems, whereas large scale impacts on biodiversity have not been considered. Nonetheless, it is vital to remember that predicting the impact climate change has on our natural environment is not straightforward, as the bearing differs greatly across regions. Biodiversity refers to the diversity and richness of living nature, i.e. organisms and biological systems. Biodiversity occurs at the genetic, species, and ecosystem levels. In nature, biodiversity is a combination of biological entities that are interacting. Climatic conditions regulate species distribution. Biodiversity is important to the health of the Earth’s ecosystems and thus a precondition for life on the planet. It boosts immunity and the adaptability of the species, which enables some particular species or ecosystems to adapt more quickly than others to changing circumstances. Biodiversity matters profoundly to humans through its effect on ecosystem services vital to life, such as food, clean water, air, and other natural products. Biodiversity also has an intrinsic value. The changing climate impacts ecosystems in many ways. Global temperature increases might lead to longer growing seasons and therefore range shifts or habitat loss in some areas. This causes changes in food webs, which influence species and their populations. Additionally, climate change is increasing heavy precipitation, droughts, extreme weather, and forest fires. It is likely that thriving species and populations under future climates will differ genetically from those currently inhabiting the planet. Climate change could drive thousands of species to extinction and put many more at risk within 100 years. According to some estimates, the situation may even be more dire. It is difficult, however, to definitively determine whether or not climate change has caused some particular extinction of species. Extinctions may have many primary factors, such as host and pollinator decline or increase in infectious disease, although climate change can be the root cause. We do not know which factors are currently the most crucial. Climate change impact might become more severe as it drives other man made environmental problems such as habitat loss and fragmentation. There is only a little evidence thus far of global extinctions related to the changing climate. Studies suggest that the first mammal species to go extinct due to human induced climate change is Melomys Rubicola, a small rodent that lived exclusively on the Bramble Cay coral island in Australia. However, there is plenty of evidence of local extinctions. In response to global warming, the natural ranges of many species reduce and shift, causing local extinctions. Range shifts have already been observed in hundreds of species. 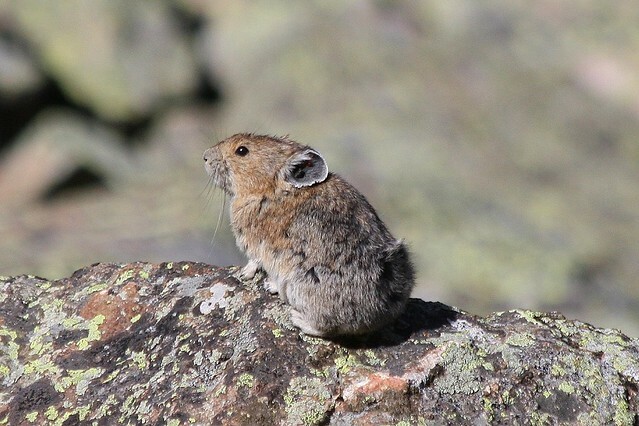 For example, the American pika in the United States, the turbellarian flatworm Crenobia alpina in Wales, and 48 lizard species in Mexico have gone extinct as a result of climate change. Currently, the rate of global extinctions is increasing rapidly, but most species likely to face extinction due to climate change are currently not even at risk. The most accurate predictive elements when identifying extinction risk are a small current geographic range and limited overlap between this and the species’ potential future range. 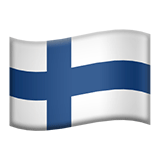 In Finland, this concerns many endangered and particularly some native species. Diverse, natural and functional ecosystems have the best chances to adapt to climate change. At the same time, climate change hits hardest species-rich and vulnerable ecosystems. For example, in the Arctic regions, due to global warming, coniferous forests may expand northwards into tundra. Climate change is faster and more severe in the Arctic since climate significantly regulates growth and reproduction of species. Relatedly, the Arctic Sea prevents species and habitats from moving towards the north thus putting Arctic species at serious risk. Regions with Mediterranean forests, woodlands, and scrub droughts will cause degradation of biodiversity. In forests, climate change will accelerate vegetation growth but also increase the risk of forest fires. The ice cover will disappear in the Arctic areas, and they will gradually become forested while native species suffer. Fresh water ecosystems will dry out and suffer from the impact of eutrophication and their native species will shift towards the South and North Poles. Sea temperature rise will affect marine biodiversity, and primary production in the oceans will decrease. Environmental problems form a complex web. Climate change is closely linked to many other environmental issues with multiple and complex inter-dependencies and feedback cycles. The most significant issue is the decrease of biodiversity, which is connected to habitat fragmentation and deforestation. Additionally, ocean acidification is a serious problem related to increased carbon dioxide emissions in the atmosphere. The following chapters extrapolate on the latter three challenges. The current rate of ocean acidification is fast and it endangers the future of many sea creatures. Ocean acidification is caused by the uptake of excess carbon dioxide from the atmosphere, which in turn accelerates a decrease in the pH of the Earth’s oceans. Since the beginning of the Industrial Revolution, the surface ocean pH has decreased by 26%. Studies suggest that the current rate of ocean acidification is unprecedented – faster than at any time in the past 300 million years. It is estimated that if carbon dioxide levels continue to rise, acidification may increase 170% by the end of the century. Acidification is happening at the fastest pace in the Arctic waters, and change is already so rapid that many species are not able to adapt. Change is also evident in the Pacific Ocean, where corals, molluscs and gastropods with calcium carbonate shells are at risk. The only solution is an immediate, large-scale cut of carbon dioxide emissions. Deforestation is due to logging and is accelerated by large-scale forest fires around the world. 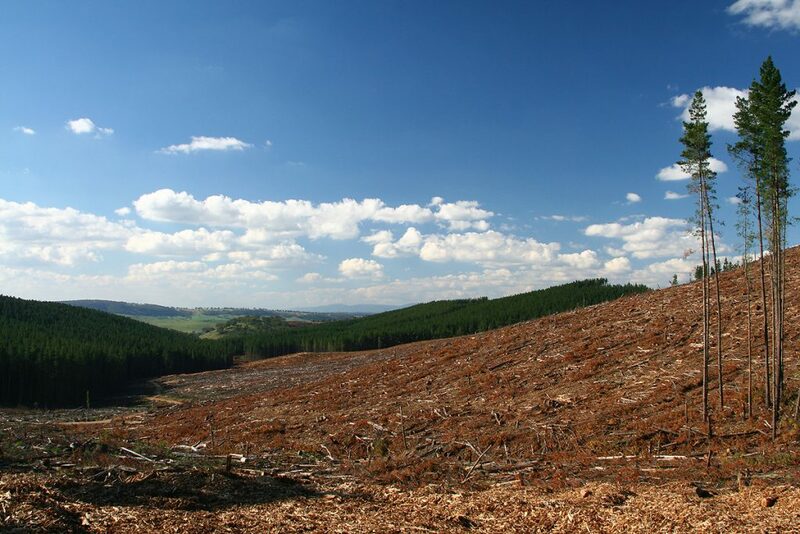 Logging is done for wood processing, paper, the energy industry and agriculture. Deforestation occurs particularly in tropical rain forests. When trees are logged, they release the stored carbon back into the atmosphere since logged forests cease to function as carbon sinks. Deforestation adds more atmospheric CO2 than the sum total of all cars and trucks on the world’s roads. Deforestation accelerates climate change and also contributes to the decrease of biodiversity by eliminating habitats of thousands of tropical species. The most effective way to tackle deforestation would be rain forest conservation, sustainable agriculture and forest management. Appropriate education is also needed to solve the problem. Habitat fragmentation leads to a decrease in biodiversity. It causes major problems to many species and complicates adaptation to climate change due to stress. One way to improve adaptation is to reduce other stress factors associated habitat fragmentation. There is no comprehensive solution to this problem, however, implementing wildlife corridors for example could be helpful. Biodiversity conservation planning should also be based on specific species’ habitat requirements. Biology can play an important part in learning to understand the basics of climate change and its consequences and subsequently provide tools for mitigation and adaptation. The major strategies to mitigate climate change are biodiversity and carbon sink conservation and enhancement. Biology class provides an excellent opportunity not only to learn scientific facts but also strengthen a relationship with nature. Places familiar, meaningful and dear to our hearts may evoke a desire to care for nature as opposed to hearing about foreign, unknown places. 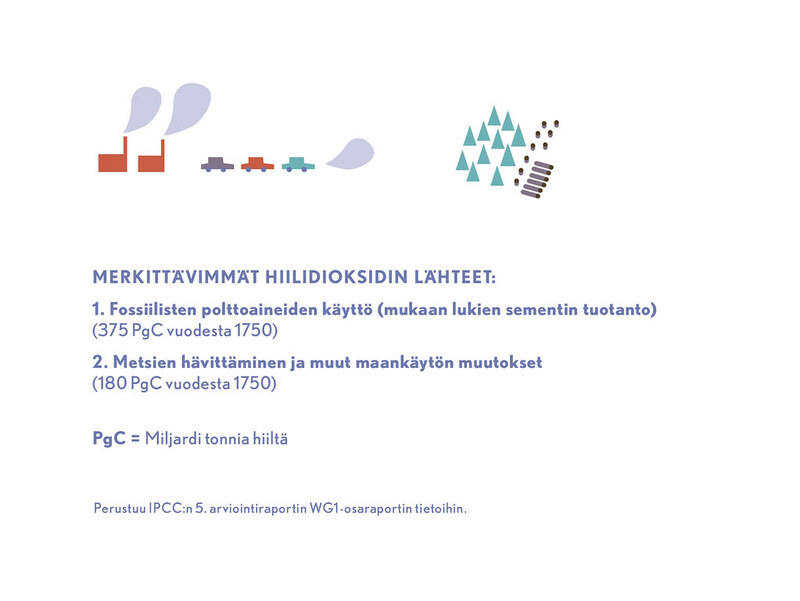 Safeguarding and protecting the biodiversity of nature are the main goals of Finnish legislation on nature conservation. In Finland, conservation is mainly concentrated in nature reserves and wilderness areas covering some 9% of the country’s surface area. The aim is to protect species and natural habitats. While nature reserves do not and cannot cover them all, conservation is necessary since many species and habitats are endangered. Species and their habitat ranges shift as a result of climate change, therefore nature reserves will not necessarily guarantee the future protection of species. When species shift towards the north, many endangered plants and animals may face extinction when moving their habitat is not an option. 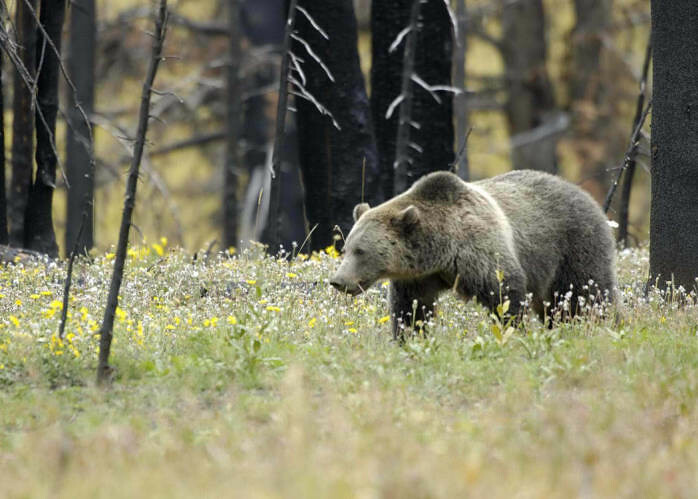 At the same time, the new habitats may be small, fragmented and in a need of conservation. Even if many species shift away from protected areas, reserves still play an important role in protecting different habitats. They provide habitats for new and vulnerable species to reproduce and reside. By increasing the size of the protected areas and in the process creating connections between them by implementing wildlife corridors or rehabilitating habitats, survival of endangered species can be greatly improved. Since species range shifts are not always dependent on geographical limits, conservation planning requires international cooperation. In addition, there is demand for new protected areas. However, protected areas are not enough to guarantee the survival of a species. It is also important that the areas outside the nature reserves be managed in a sustainable manner. This particularly concerns forests and agricultural landscapes. Conservation and enhancement of carbon stocks are important factors in climate protection. For example, sustainable forest management promotes leaving high stumps in the logged forest and setting more sustainable and realistic profit targets to let wood grow longer and absorb carbon. Even under intensive forest management, some areas can be left untouched as reserves for biodiversity conservation. This means a longer life cycle, avoiding excessive tillage and leaving forest vegetation after a timber harvest. Additionally, reducing peat extraction and draining swamps are effective methods of reducig greenhouse gas emissions. Food production is a basic condition for human life. Agriculture is the cultivation of the soil – managing arable land – and therefore crops play an important role in tackling climate change. A significant amount of human generated atmospheric carbon dioxide would be possible to return into the soil by specific agricultural practices. Carbon sequestration rates in fields can be boosted by addressing the health of soil microbes and adding organic plant matter (such as roots, crop residues, manure) to the soil. Many innovations using biological principles can be used to combat climate change. Examples of these are advances in circular economy, bio-economy and biotechnology based on the cycles of ecosystems. The ultimate goal is to shift towards a more sustainable society where products and raw materials circulate as long as possible and maximize resources. In other words, it requires a transition from a linear “from raw material to product and waste” economy to a circular business model according to the principles of natural ecosystems. Such closed loop models do not produce waste. Instead, they incorporate residues or waste from one stage of a cycle to raw material for another stage within the same cycle, or for use in a completely different cycle. A circular economy promotes low consumption and high utilization of natural resources, energy, and material efficiency. It therefore also produces less greenhouse gas emissions. The definitions of bio-economy can vary depending on the context and actors. According to one of the many definitions, it encompasses all varieties of production based on renewable natural materials, including the further development and use of innovations and technologies related to such materials. It also promotes systemic change from non-renewable resources to renewable resources. As well as agriculture, many other major industries make up the bio-economy including forestry, chemical, agriculture, and food industries. Even ecotourism can be considered part of the bio-economy. Conserving mangrove forests and other coastal wetlands helps prevent coastal flooding and erosion. Forest conservation and restoration prevents landslides and helps regulate the low of waters. Diverse practices in forestry and agriculture help us survive in a changing climate and guarantee food production. Sustainable management of highland wetlands and floodplains helps regulate the flow of water and water quality. Conserving biodiversity in agricultural production systems is vital, including the establishment of gene banks for animals and crops. Climate change debates often overemphasize personal choices and consumer habits, particularly when addressing young people. This approach has its place, but there are more effective ways to make a difference such as acquiring skills and sound knowledge, launching citizen initiatives, making speeches, writing articles and letters to the editor, contacting decision-makers and organizing meetings. The more one practices influencing skills, the better one becomes. Investigate the status of your local protected areas and get involved if necessary. Visit environmental authorities and planners in your municipality and find out about their role in conserving biodiversity and tackling climate change. 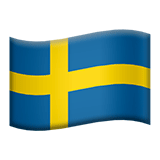 Discover the climate change mitigation projects in your country, municipality and other countries and get involved. Learn about national and international environmental organizations contributing to climate change mitigation. Learn about businesses and companies contributing to climate change mitigation or biodiversity conservation. Ask students to design a project, which aims to help the school become more climate-friendly, and encourage them to make it happen. The following exercises and the text on social studies provide further tips about education for active citizenship! a) Which species are responsible for carbon sequestration of your carbon stock? b) Which mechanisms are used in carbon sequestration? c) Which methods are most useful for improving effective carbon sequestration? d) What living and non-living factors may prevent effective sequestration? 3. WHEN DOES SPRING START THIS YEAR? Follow the ice break-up or attend the national Big Butterfly Count and discuss your observations and how they are linked to climate change.. 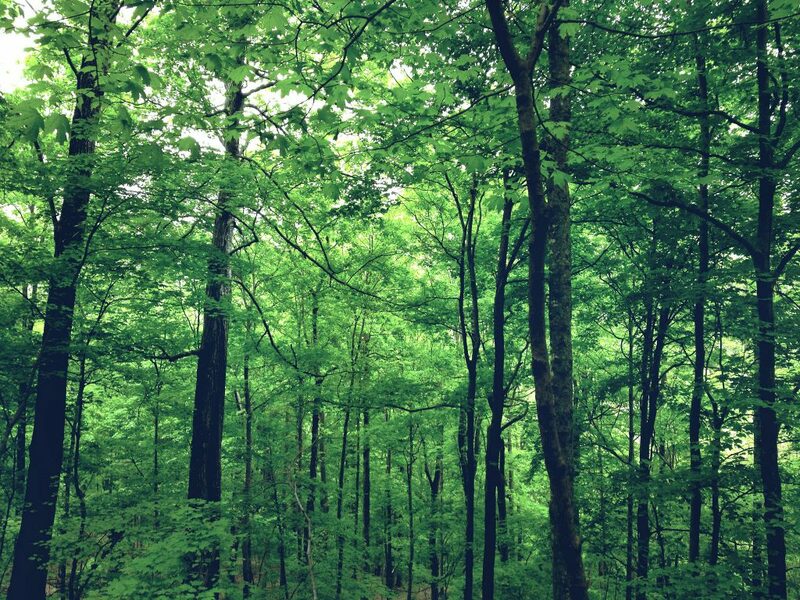 In photosynthesis, trees absorb atmospheric carbon, acting as carbon sinks. Introduce a Plant a Tree Day, for example, to celebrate official holidays and increase the number of carbon sinks on the planet. Even if participation is not possible for all students, you could introduce a tradition of each graduating class planting an apple tree in the schoolyard to bear fruit for future students to enjoy. Discuss how farmers and foresters can help to tackle climate change and be prepared. What various factors should be taken into account in food production and forest management today and in the future? 6. HOW CAN OUR MUNICIPALITY MAKE A DIFFERENCE? Find out about the greenhouse gas emissions in your municipality or county and discuss how to reduce this amount. 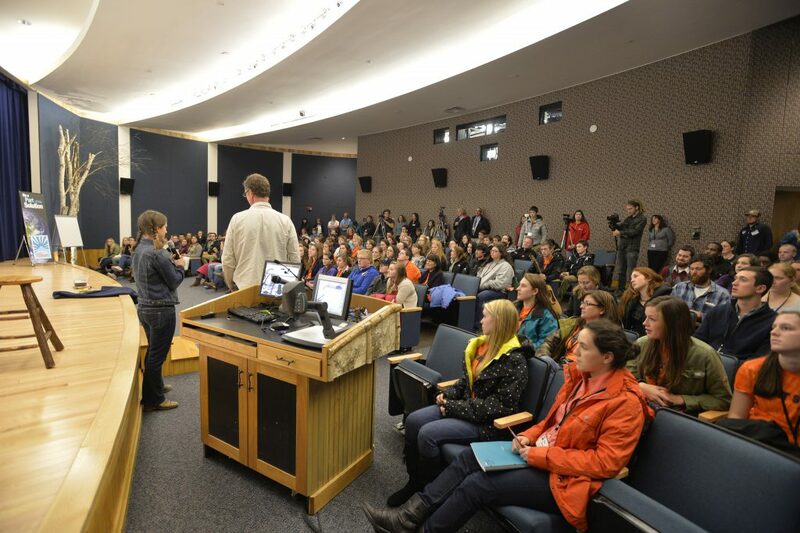 Next, divide students in groups and ask them to design a climate change action plan, such as a campaign or communication strategy, a citizen initiative etc. Find out about your local nature reserves and discuss why they were established. Ask questions such as: Are they useful for climate change adaptation? What is the debate over these areas? Are they at risk and are there plans to set up new reserves? These images can be reused under CC licence. Add any required credit for the photographer or company who own the copyright of the photo you use. Copyright information and original photos in Flickr gallery.